Cistus shrubs are always available in the nursery bargain bins and plant sale tables I visit. This white flowering Cistus is on the edge of Duck Lawn near the water race flaxes. 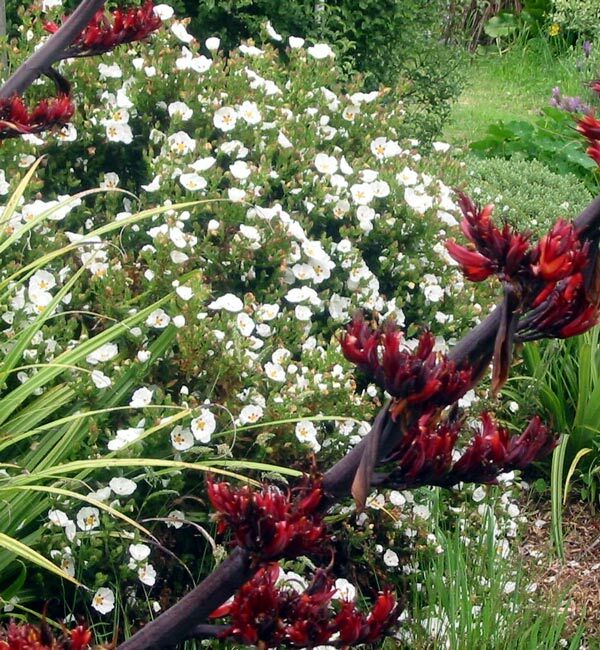 In front of the Cistus are the brilliant red flax flowers from a large water-side Phormium Tenax. There are other bargain bin shrubs in this narrow garden - they are all completely taken for granted and rarely even photographed. 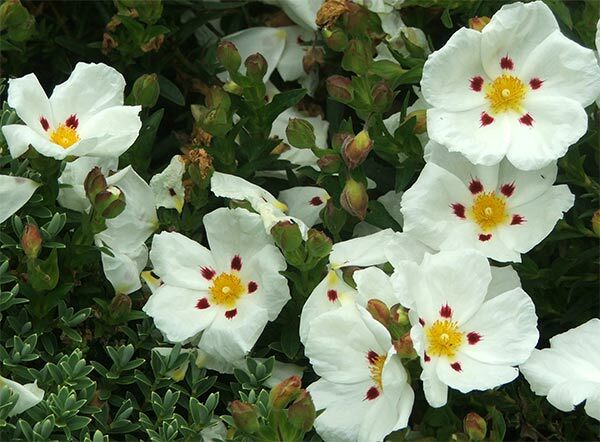 I've noticed that this white Cistus has scattered flowers in late Autumn, as well as its main flowering spree in summer. Perhaps I did some indiscriminate summer pruning?